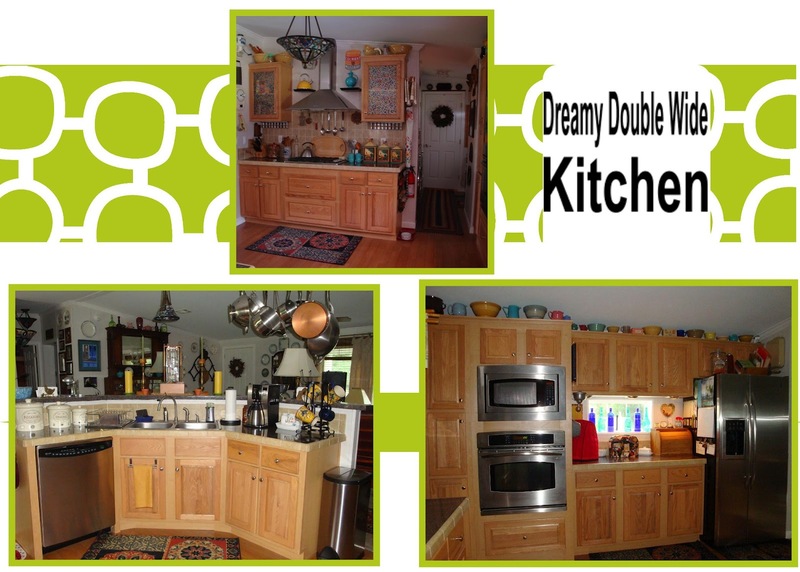 Friday’s ‘Dreamy Double Wide’ post showed us a great remodeled double wide with the features of a Southern farmhouse. It’s certainly the envy of the neighborhood. Molly Howell and her late husband Chris made their double wide unique by adding features like a wrap around porch, a mud room, and a gorgeous guest house. They used antique tin for skirting and copper piping for racking. Location: We live on about 125 acres in north central Florida that my late husband inherited from his parents. Model/Year/Manufacturer/Size: Forest Manor/2006/Homes of Merit/60 x 28 ~ 1493 SF (3 BR, 2 BA). My favorite style: I guess my style is what would I would call ‘Rustic Cottage Chic.’ I enjoy the comfort and well-worn look of cottage style, but I’m more into bold, rich colors and natural wood versus painted. We have always loved antiques and old interesting items that have lots of patina, most especially things that have been handed down from our families and have a history attached to them. I have, however, been known to sort of invent a history for a particular piece if it reminds me of a special time or place or person! My inspiration: My inspiration has always been, and will always be my wonderful husband who passed away in June of last year. There is so much of him in this land and in our home, and I feel compelled to take care of everything to make him proud, as well as continuing to improve on what he created here. There are many projects that he was unable to complete, but he had a vision for our future, and my goal is to complete that vision for both of us. Favorite room/place in home: The Porch! It’s such a wonderful place to sit in the morning with a cup of coffee or in the evening with a glass of wine. It has a metal roof and the sound it makes during a rainstorm is wonderfully nostalgic and comforting. What friends say: Almost everyone who sees our home oohs and aahs. Many say that they have a hard time focusing because there is so much to take in as just about every inch of space is filled with interesting ‘stuff’ to look at! I have been told I have a great sense of color and a unique decorating style. Most of the decorating ideas are mine, but Chris was instrumental in cultivating my sense of style and color as well as bringing many of our design ideas to fruition. He was a man of tremendous talent – an artist, a photographer, a mechanic, an engineer, a carpenter. He could build, repair, or refurbish anything and everything! He was very inventive, and would come up with really unique ways to use and reconfigure ordinary items. Biggest embarrassment: Not having drywall installed at the factory which would have only cost us an extra $2000 over the standard awful vinyl panels with the strips. We planned on doing this upgrade ourselves, but unfortunately, Chris was diagnosed only a year later and we weren’t able to get it done. So, unfortunately, this is still on my ‘to do’ list. Proudest DIY Moment: This is a tough one for me. There are so many changes that we’ve made that have transformed our house that it’s difficult to pick just one. 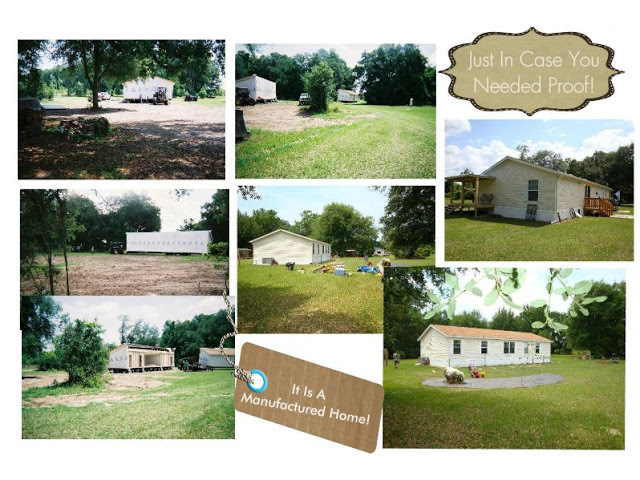 As an aggregate though, I think we have been most proud that there are so many people who see our home for the first time who are so surprised to discover that it is a manufactured home. Biggest Indulgence: I think most people would consider our porch to be a pretty big indulgence just based on it’s size since it wraps around three sides of the house. But to us the porch was something that was a given since we always knew we would add it. It was simply part of the house that we always envisioned. So, although having furniture reupholstered might not exactly fit this category, our biggest indulgence would probably be having our couch, four chairs, and ottoman recovered last year. About 1996 when we were living in England, we bought two overstuffed chairs which are late 20s, early 30s vintage, and originally came from a home on the Queen’s Sandringham Estate. The original fabric was Belgian wool and was beautiful, but very worn. We had them recovered in a Ralph Lauren paisley microfiber which we love. 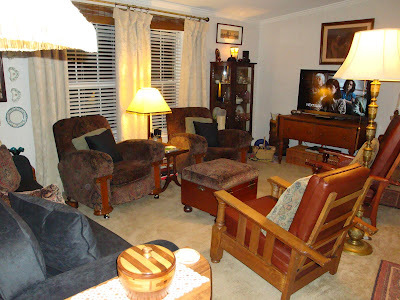 The other two chairs are Morris chairs – one is from Chris’ family and the other we bought in England. 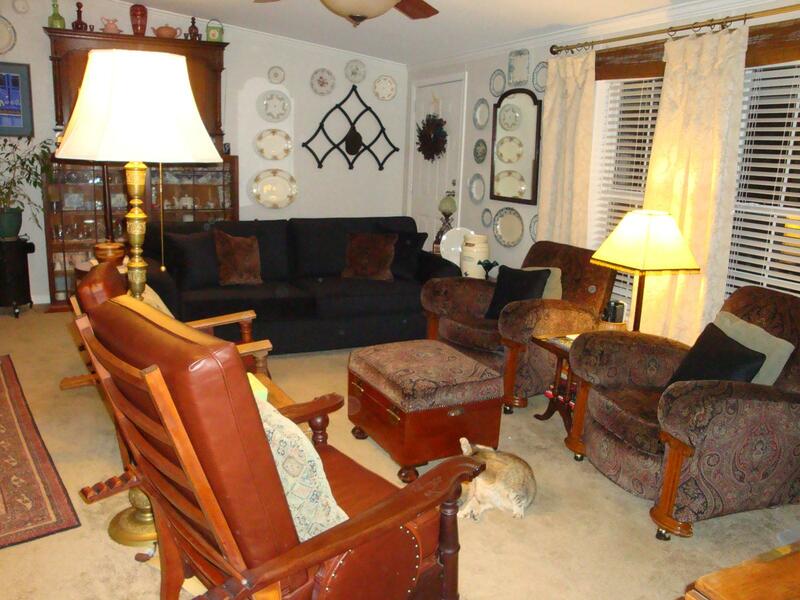 We had the cushions recovered in a beautiful rich pecan colored leather. The couch we bought in 1998 after our return from England but the fabric had faded and the back was a loose pillow style, and I wanted more of a tailored look. We had new back cushions made and the whole thing recovered in a Robert Allen black suede which was a bit of a risk, but really glad we did it. We found a fabulous upholsterer who lives not far from us and they did a marvelous job on all of the pieces. He and his wife are absolute gems. Best advice: Don’t let others discourage you from taking the leap to live in a manufactured home. Although I would never have believed twenty years ago that we would be living in one, I couldn’t be happier. Our home is well-built, modern, and the perfect size and layout for this stage of my life, and I wouldn’t trade it for anything. Favorite source of materials and supplies for remodels: Recycle, reuse, re-purpose! As much as possible we recycled and reused materials. Some of the items came from materials saved from a 1907 house that Chris dismantled, and others came from one of our favorite local salvage businesses. Molly is a great advocate for manufactured housing. Her sentence “Don’t let others discourage you from taking the leap to live in a manufactured home.” says so very much. 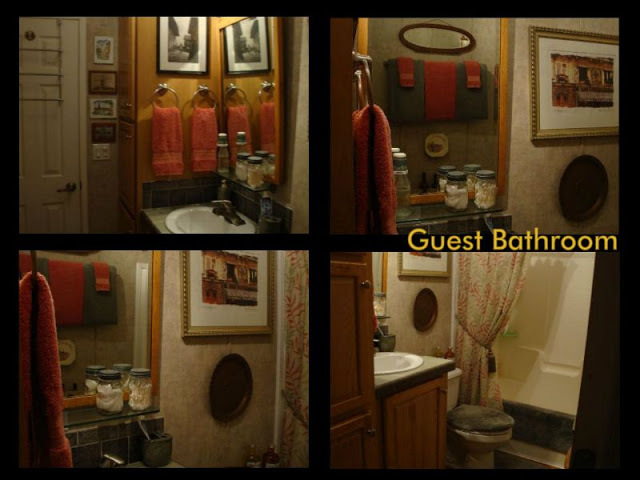 The fact that there is a stigma on manufactured housing is probably one of the biggest reason why people don’t consider them as an option. Molly and Chris has shown that you CAN turn one into a home anyone will envy! 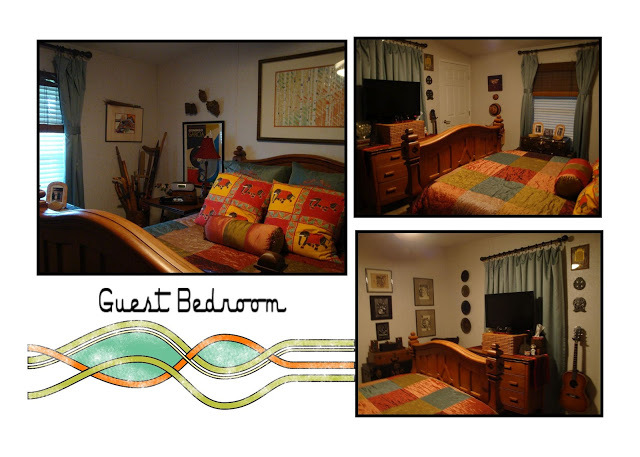 Thank you so much Molly for sharing your gorgeous remodeled double wide home with us! It is a dream home for sure! You have given us so many ideas and creative inspiration. Thank you so much for sharing your advice and letting us see a little peek inside your life. I truly appreciate it and I know our readers do to. Thank you! Thank you for reading Mobile Home Living, too! That porch is the crowning jewel to that home. I am in love! Do you happen to know the approximate cost to do that on a double wide? My husband and I are looking at porches to put on one, and something like this is just inspiring! 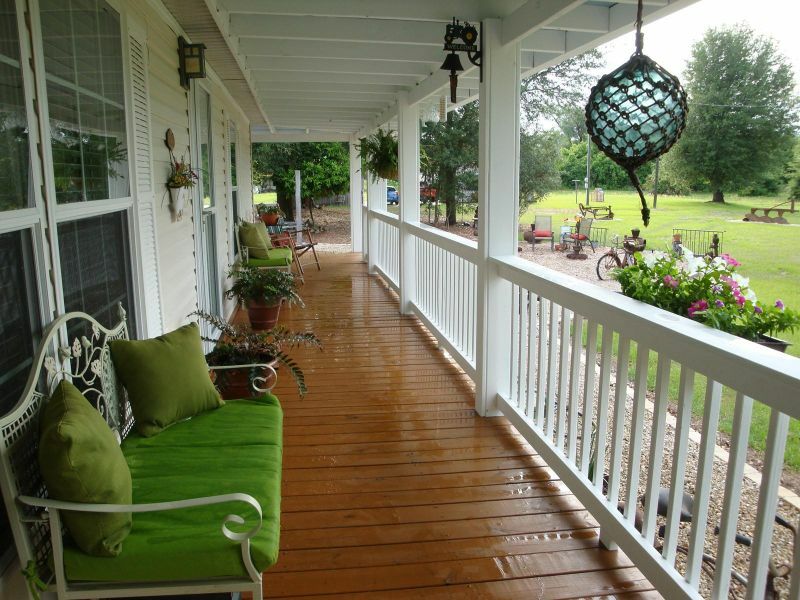 I would LOVE to sit in a rocker or swing out on a porch like this sipping on some ice cold lemonade. Great job on the whole house. Its just beautiful, inside and out. Sorry so long in responding! 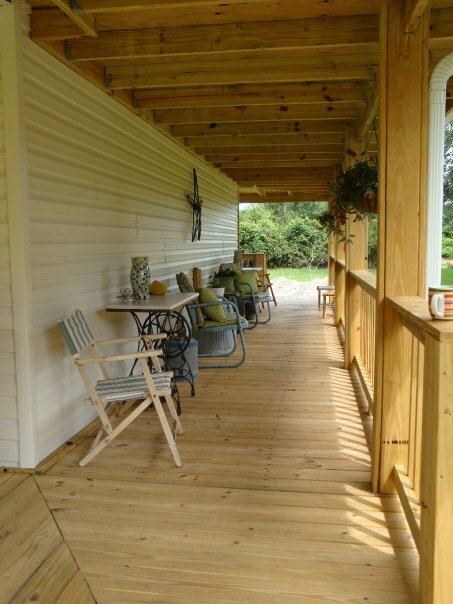 The porch and porch floor are constructed of Yellawood. 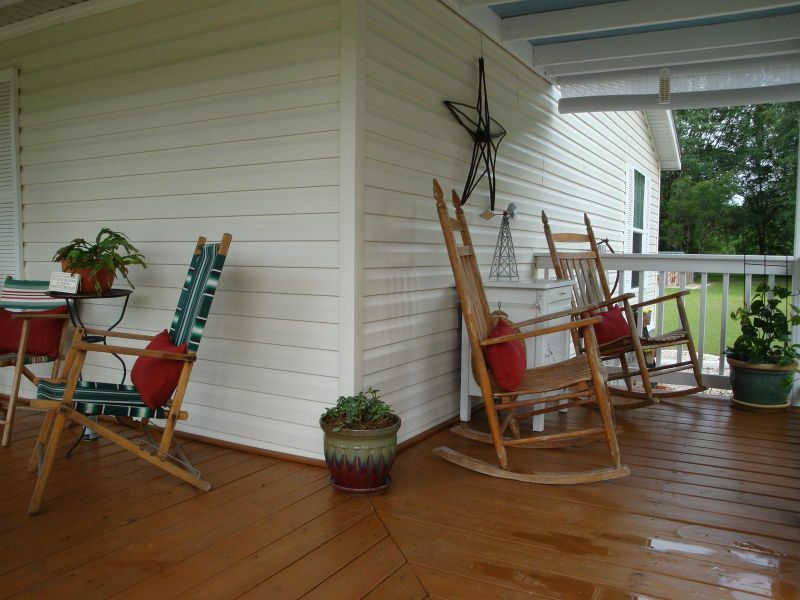 The floor is stained with Olympic Deck, Fence and Siding Stain in a semi-transparent finish. It has been three years and it's holding up really well. No, but I am always looking for others that are updating/remodelingtheirs too. As you can probably tell, I like to feature them! Couldyou send me a link? I would love to see it. Thanks so much Diana! I agree completely. Geneva. but as beautiful as your own home is, Icould deal with both very easily! Thanks so much! That porch is amazing! It would be my favorite room too. Loved the interview!!! I couldn't have said it better myself Shirlee! hi Shirlee, thanks so much! I'll look into that one too..lol..I gotthe Mobile Living CD in Friday and there's lot's of eye candy andarticles in it…I agree, Molly's home is gorgeous! Crystal, before I forget, I found another vintage travel trailer book in my hubs office. It's called Silver Palaces and focuses mostly on all the different aluminum trailers, but lots of eye candy for vintage trailer lovers. Lots of neat interior shots too. I really like how they used the old tin for skirting. Very creative. The guest house is so cute and fits into the surrounding perfectly. Great home and property. "Rustic, cottage chic", I'd have to say that that's my style too. I love, love the covered porch! What an incredible space and they did a wonderful job. I'd be spending a lot of time out there. Great kitchen too, I love the wall oven with the microwave above. My dream kitchen would have a double wall oven. Thank you Molly for sharing your home. You and your husband obviously put a lot of time and love into creating your home. She is a wonderful lady and I'm honored to have met her..She isdefinitely a strong woman that I admire greatly and her home isgorgeous..Thank you so much for reading and commenting! What a beautiful home and that porch is to die for. I think it's wonderful that she is continuing on with the dreams her husband had for the home.